Great news. 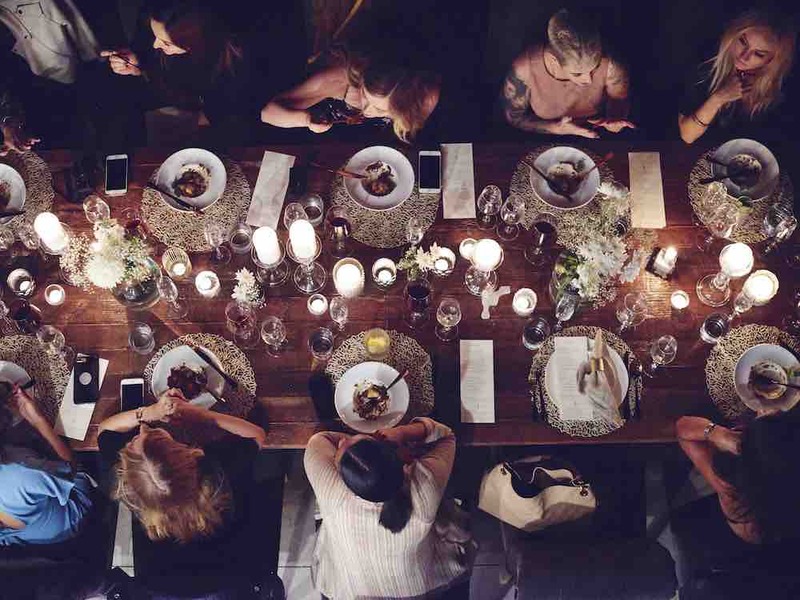 You’re officially invited to Los Angeles’ coolest dinner party. Citizen Mustard is an upscale, plant-based dining experience established by the extremely cool Chef Megan Marlow. The creative dining concept appears at a new address every month and is best described as luxury dining for the adventurous. With a rotating menu that entices both plant-proficient and plant-curious patrons, extraordinary locations are turned into elegant dining experiences. Plus, you’ll almost certainly meet some fun fellow foodies. Guests enjoy passed hors d’oeuvres, a multi-course plated dinner, and paired libations served with warm hospitality in an unforgettable, intimate environment. Featured dishes showcase local farms and purveyors, weaving California’s finest ingredients into seasonal, modern menus. 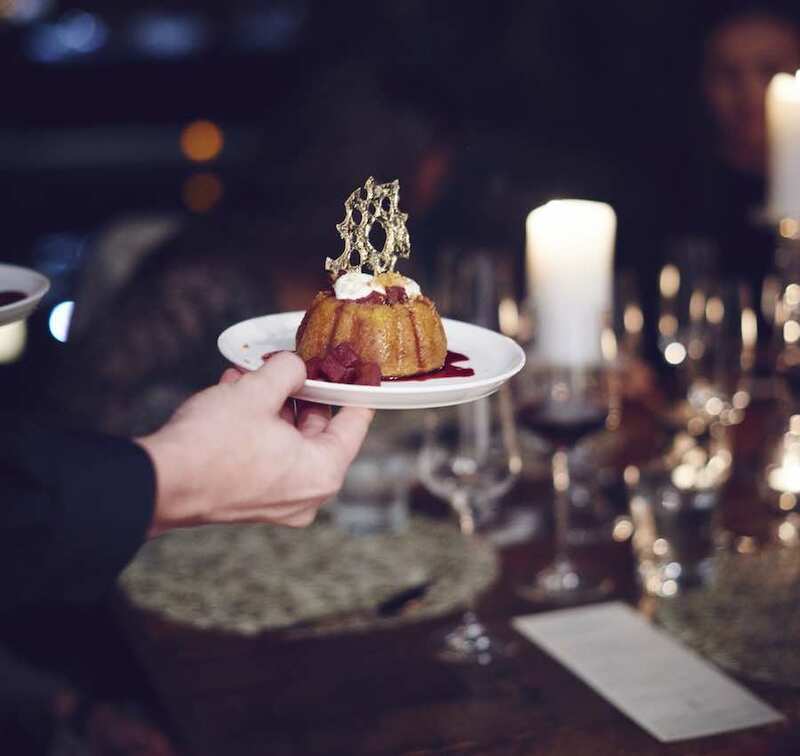 From gorgeous custom-made wood and steel tables, well-appointed dinner service, and warm ambiance, Citizen Mustard provides an unforgettable evening of opulence with touches of rustic influence. With a commitment to ethical consciousness, no animal products are used in the production of Citizen Mustard and a portion of all proceeds is donated to rotating charities. We talked to the brains behind Citizen Mustard, Chef Megan, to talk all things entertaining. What's the story behind Citizen Mustard? MEGAN MARLOW: Citizen Mustard was created to shine a new light on plant-based cuisine. As someone who loves experiences, I really wanted to create something truly memorable, not only for people following a plant-based lifestyle but for plant-curious carnivores as well. What's the best part about the dinners? MM: The best part about a Citizen Mustard dinner (besides the indulgence) is the connection. When I started Citizen Mustard my main focus was on the food and creating a beautiful atmosphere for people to dine in. But the most incredible takeaway has been the connections people have made while dining with us. How do you set about planning them? Spaces, menus? MM: I keep the menu seasonal and fresh, with a mixture of cuisine styles. When looking for the right location, our goal is to find a space that compliments what we’ve created. Most of our events are set in modern luxury homes that help create an ambiance of both warmth and beautiful elegance. How does each event differ from the next? MM: Every event is both a new location and a new menu. Our menus are anywhere from seven to nine courses and unique to that particular event. We have a couple of fan favorite menu items that we bring back from time to time. What's been a highlight of the dinners? MM: For me, one highlight of the Citizen Mustard experience is seeing people change their mind about what they thought plant-based food was or could only be. Our demographic surprisingly tends to lean more towards carnivores looking for a new experience, and their positive response is always a highlight for us. What's next for Citizen Mustard? MM: We plan to keep creating memorable events focused on plant-based cuisine for people to experience throughout the year. Join us, and definitely come hungry (and thirsty)!